Columbia Basin Racquet Club’s Junior Tennis Program is designed for all youth ages 4 to 18. There are classes suited to each player’s ability and goals. Our teaching professionals will work with the player and parents to determine the best path to success. Register and pay online or download the flyer. Prices shown are per session (excluding tax) as CBRC Member/Non-Member. Little Tennis will help the young beginner get familiar with tennis fundamentals. Players will be developing hand-eye coordination and basic athletic skills. Classes will feature lots of throwing and catching games, simple tennis techniques, and a strong emphasis on fun! Junior Beginners is for players with very little exposure to tennis. The major emphasis will be basic stroke production, playing games, learning sportsmanship, meeting friends and having fun. The players will be separated by skill level, if needed. Junior Intermediate is designed for the junior who is ready to learn correct ball striking technique and is striving to join Tournament Prep. The emphasis is on improving stroke production, positioning, and basic match play strategy. Drills and games will be competitive with major emphasis on learning and fun. Tournament Prep is based completely off of skill level and is designed for players that aspire to play tournaments and high school varsity or junior varsity tennis. Players ages may vary as this class is for younger juniors who are developing quickly with success and older juniors that look to play tennis on a regular basis. The emphasis is on improving technique and shot production. Various competitive drills will be centered on singles and doubles strategy, positioning and shot selection. 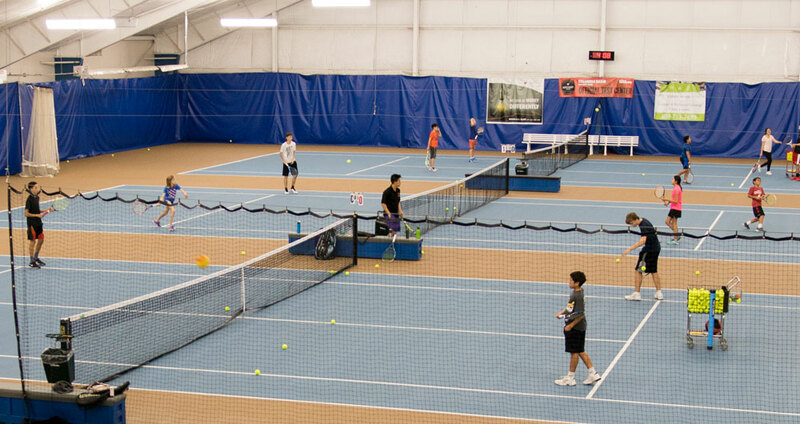 Tournament class is designed for the highest level of junior players at CBRC who are dedicated to improving their tennis and is striving to become a ranked player. Workouts are designed for players looking to take their game to the next level. The emphasis is on improving footwork, consistency, patterns of play, conditioning, mental toughness, goal setting, and developing an arsenal of weapons for the court. This class is for juniors in Tournament Prep and Tournament class. It is designed to help improve reaction time to the ball, core strength and overall speed. The minimum number needed for this class is 4 participants and the maximum is 8. For more information, please contact Luke Thompson.